Monday Movie: "Finding Your Feet"
Join us for Monday Night at the Movies. We'll be meeting most Monday evenings from February 4-April 29 to watch a different film, from old favorites to new releases. Free popcorn! Closed captioning will be provided when available. This series is paid for with funds from the Gert Salzer Gordon grant. 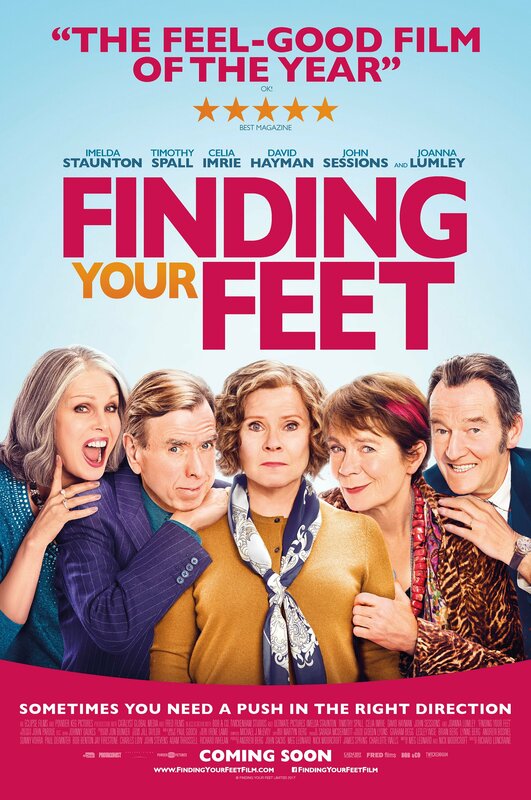 On Monday, March 25 we'll be watching Finding Your Feet (2018, 111 minutes, PG-13). Imelda Staunton leads an acclaimed cast in this British comedy.